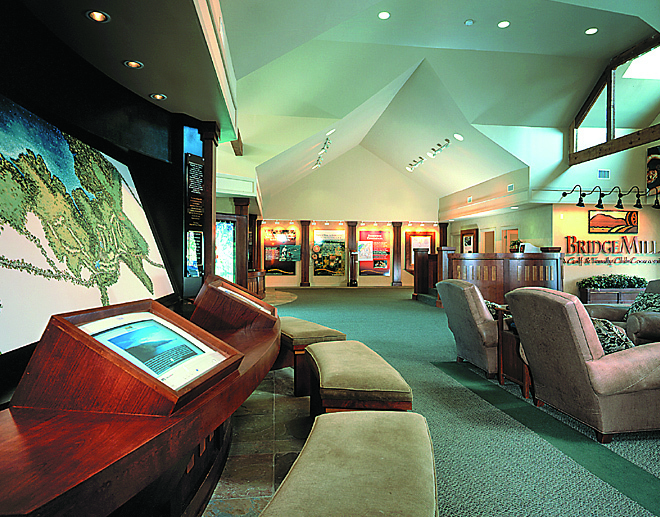 BridgeMill Golf & Country Club - Marketing Specifics, Inc.
As a unique and futuristic Sales and Information Center, BridgeMill reinforces the use of interactive displays. The theme of “building a new town for a new century” springs to life as soon as you walk through the front doors. Oversized graphics are embedded with 11 miles of fiber-optics to create an interactive sales experience by detailing the amenities, the individual neighborhoods, the 18-hole golf course and much more. Rotating back-lit transparencies showcase the active, healthy lifestyle of this community in front of a breathtaking view of the foothills of Georgia. 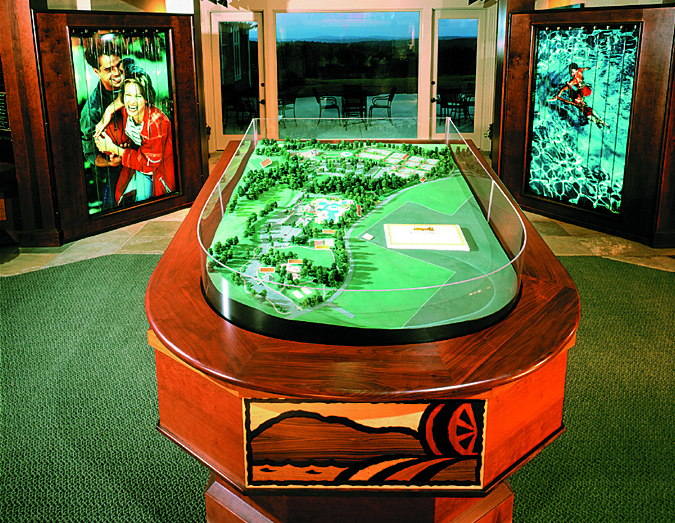 A topographical table showcases the 50+ acres of community amenities. 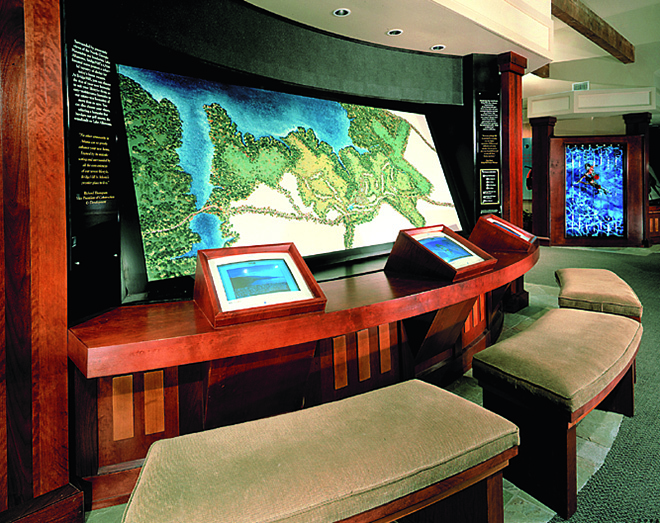 Interactive touch-screen displays allow prospects and Realtors to navigate their way through the process and find the product and price point for which they are looking. Even the children’s room, which features a “Starship Enterprise” play area, is consistent with the futuristic theme of the sales environment. 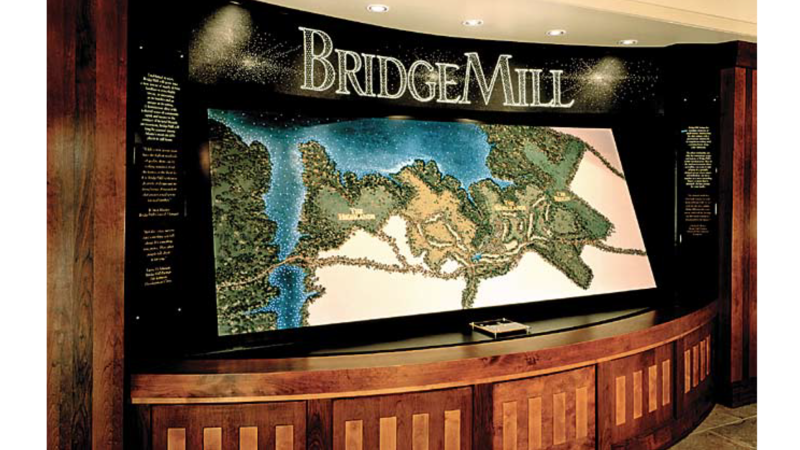 The BridgeMill Sales Information Center clearly communicates that this community is leading the new homes industry into the future.